machines which I have made, am making, or intend to make, and some other stuff. If you find this site interesting, please leave a comment. 108 Accurate holes. 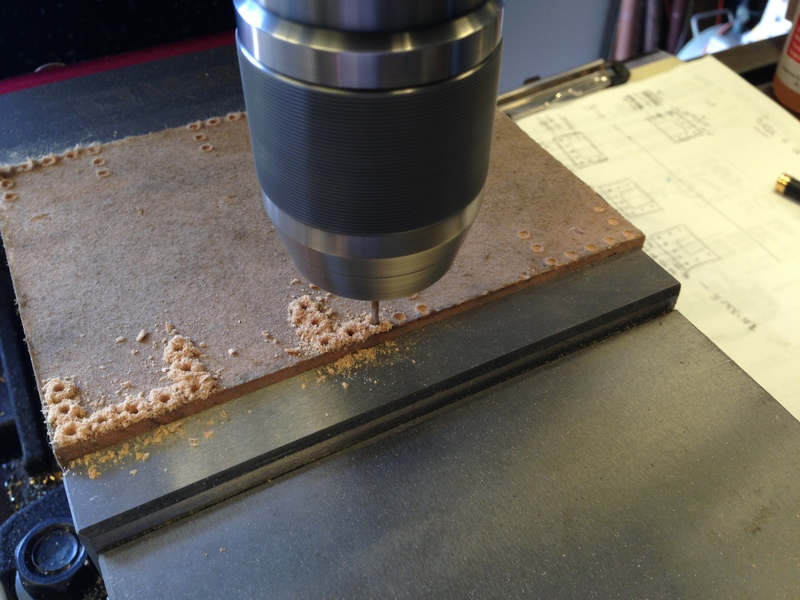 CNC again. The triple expansion engine legs will be bolted to the base, with 9 bolts each. That is 54 holes which needed to be precisely drilled so the columns are accurately positioned. Each one of those holes needs to have a mating hole made in the base. 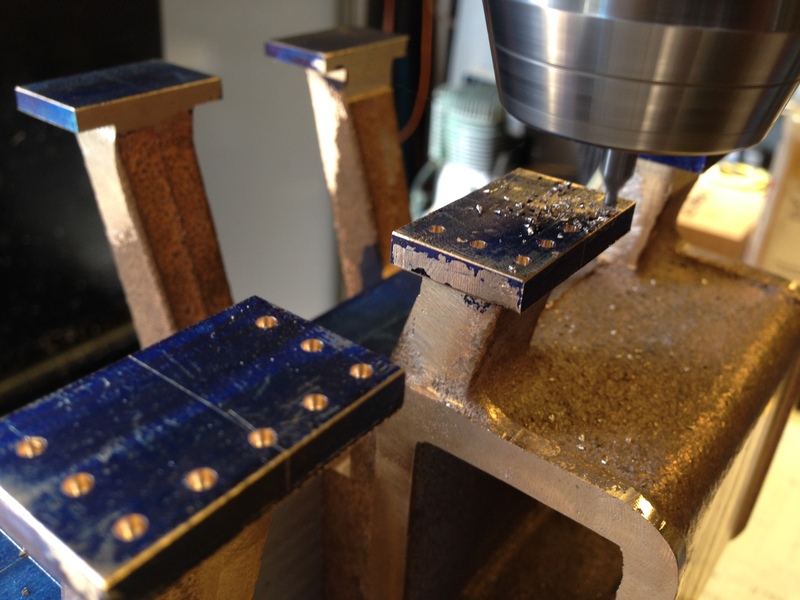 The base hole will be threaded to accept a stud. 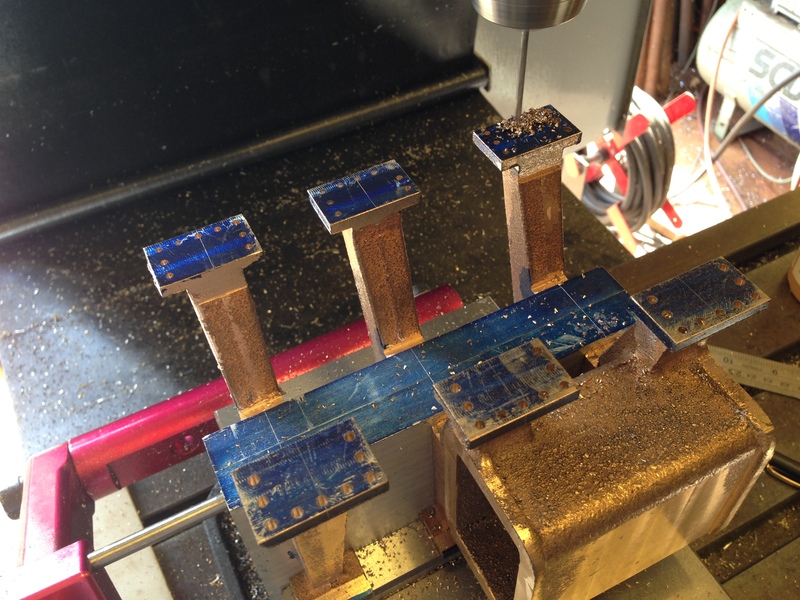 Normally one gets accurately mated holes by drilling through both objects simultaneously, but that was not possible in this situation due to obstruction from the columns themselves. So the solution?? CNC of course! 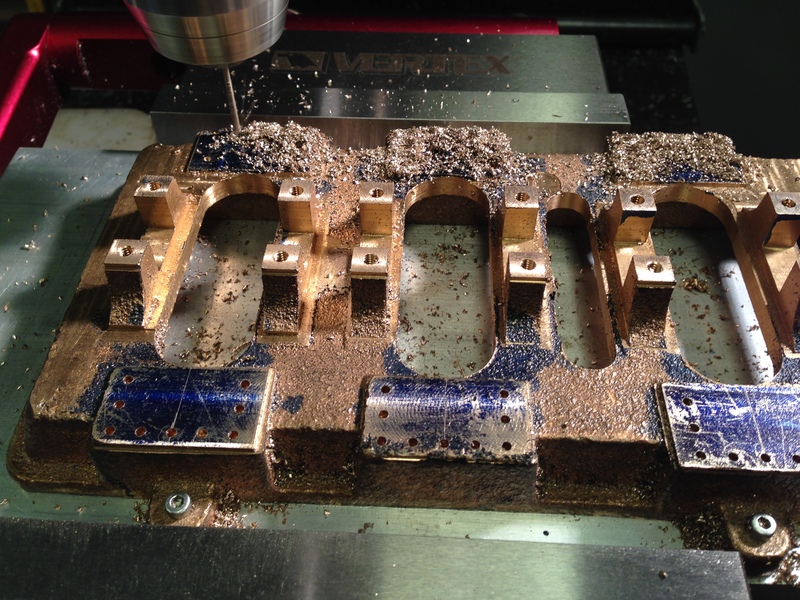 The hole positions were known from the CAD drawings, and were entered into the CAM program. The resulting file was too big for my old CNC mill (1997 model), so I attempted to drip feed the information as the machining operation was taking place, but without success. Several phone calls to my expert friend Stuart did not resolve the problem, so Stuart kindly came to suss it out. A couple of hours later he had the drip feeding working as a result of a serendipitous error. We knew that the largish file needed to be drip fed into the CNC mill, but it eventuated that we had to try to enter it directly, and produce an error message first, before drip feeding it. A bizarre system, originating from the land of Manuel of Faulty Towers. A test run in scrap wood. And the mirror image holes in the base. 2.05mm diameter, ready for BA7 threading. See how the holes line up exactly with the marking lines. Now to make 54 BA7 studs.